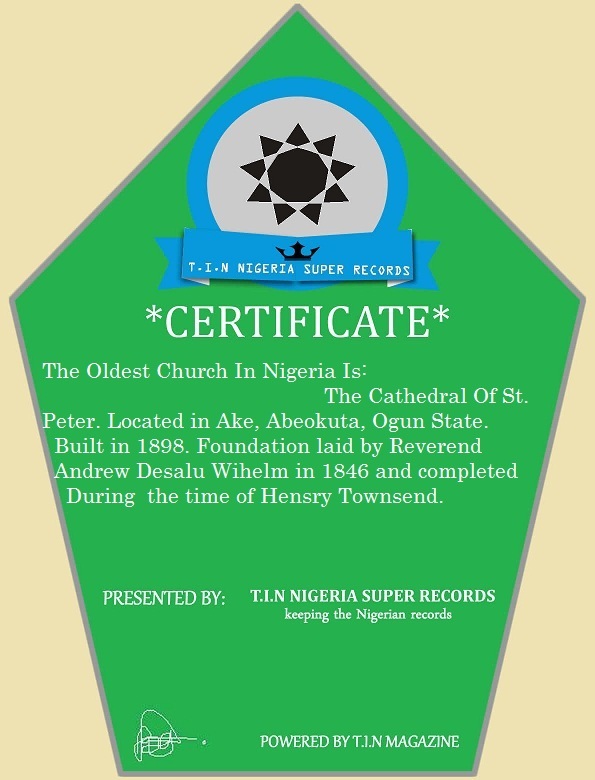 Nigeria Super Records: See The Oldest And The First Church In Nigeria. 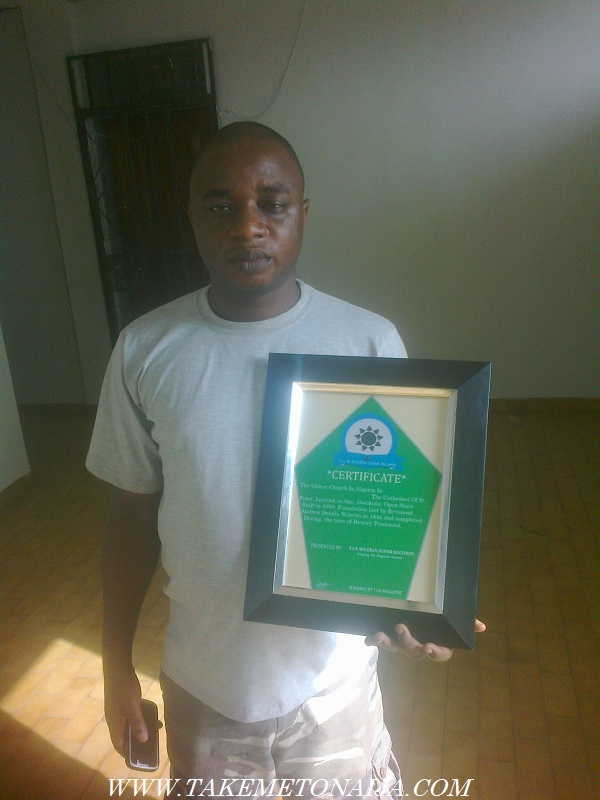 AS T.I.N MAGAZINE LAUNCHES THE NEW PLATFORM: “T.I.N NIGERIA SUPER RECORDS (N.S.R)” THE FIRST AND OLDEST CHURCH IN NIGERIA GETS A CERTIFICATE OF HONOR AND DIFFERENCE FROM T.I.N MAGAZINE AS WE’VE UNVEILED THE FIRST CHURCH IN NIGERIA TO PEOPLE WHO DOESN’T KNOW, TO BE IN OUR LIST OF RECORDS. T.I.N MAGAZINE VISITED THE OLDEST CHURCH IN NIGERIA LOCATED IN AKE ABEOKUTA, OGUN STATE NIGERIA FOR CONFIRMATION AND PRESENTATION OF THE CERTIFICATE TO THE HOLY CHURCH OF GOD.